Peru is full of ancient mysteries and other-worldly locations that defy logic and imagination. Even after living here for 9 years, it still continues to surprise and delight me at every turn. One of the things I love the most is exploring the many ancient temples and monuments that are still standing. Some people say the ancient builders were primitive compared to us; however, I’d say we can’t build some of these structures with our modern technology. Since 2012 I’ve been fortunate to lead tours to ancient and sacred sites here; however, I know that not everyone has the time or the money to explore all of these places. 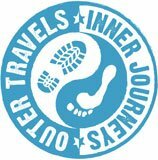 Recently, I found that several people have uploaded their own 360-degree photo spheres to Google Streetview maps which means that you can also have a virtual tour of some of my favorite places in Peru. Machu Picchu is a miracle of ancient engineering and a sight to behold! Located high in the Andes, it sits on a saddle between two mountain peaks, and is surrounded by a giant ring of mountains; it is truly one of the most beautiful and spectacular locations in the world. It is obviously the most well known of all the ancient monuments in Peru and in 2007 was voted one of the new seven wonders of the world. Machu Picchu is an ancient and sacred power place that is fed by grids of powerful natural energies. It is sometimes known as the Crystal City because of the large amount of quartz crystal within the rock. This is one of many reasons why there is such a powerful energy here. The shamanic belief is that Machu Picchu served as an initiatory center for higher learning. In some respects, Saqsayhuaman is the most impressive and mind-boggling of all the ancient sites in Peru. The way that these large heavy stones (some weighing around 200 tons) have been so precisely cut and placed together like a massive three-dimensional jigsaw puzzle defies logic and imagination. The official narrative is that Sacsayhuaman was built by the Incas much less than 1000 years ago. However, that is highly unlikely. The fact is, that we know a great deal about the Incas, what kind of technology they had and the type of tools they used. We know that they did not have iron or steel and that the best tools they had available were bronze chisels. Nice try mainstream historians, but I’m afraid you don’t get to cut stones made of granite and andesite (some of the hardest stone on Earth!) so precisely with bronze chisels. Not only that, but there is some evidence at Sacsayhuaman that this site was built before the last ice-age which would make it older than 12,000 years. Ollantaytambo (pronounced O-Yan-Tay-Tambo) is an ancient Inca town at the far end of the Sacred Valley. A fascinating place to explore, this town is in another spectacular location and it retains much of the original Inca layout and some of their stonework. Here, there is incredible ruin where you can find evidence that at least part of the structure was built by an advanced civilization far more ancient than the Incas. The views from the top of the ruins, about two hundred massive steps up, is simply breath-taking. The small town of Pisac is located at the beginning of the Sacred Valley. A road leading from the town takes you close to the top of a mountain where you can find another mind-boggling ruin that wraps itself around the mountain. If Machu Picchu had never been discovered I’m certain that places like Pisac and Ollantaytambo would be world famous, yet they only receive a fraction of the tourists that go to Machu Picchu. I hope you enjoyed the virtual tour of these astonishing places in Peru. But remember that no photo (not even snazzy 360-degree virtual reality photos) can ever come close to the experience of seeing these places in person. 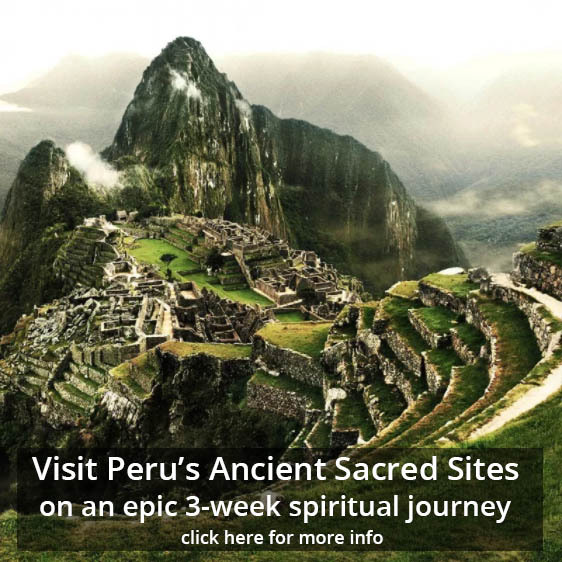 You can visit all these sacred sites (and much more) if you join Peru Odyssey – a transformational group journey to explore the ancient and mystical side of Peru. You’ll feel a deeper connection with the sacred power places and shamanic traditions of Peru including Machu Picchu and you’ll also experience the sacred plant medicines Ayahuasca and San Pedro.